Raven Concealment’s ModuLoader is a new approach to carrying and concealing equipment on the belt-line. The ModuLoader is a two-part system, consisting of the ModuLoader platform (which mounts quickly and securely to your belt) and the tear-away load carriage module (which allows the user to rapidly replenish or reconfigure the platform to perform multiple functions). In addition, the entire system remains extremely concealable and comfortable by conforming to the body shape of the user. 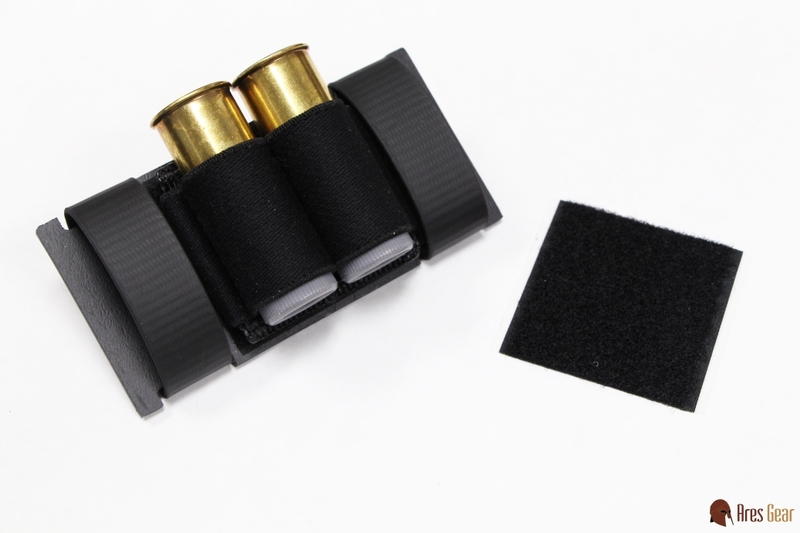 When used with the ModuLoader, our Shotgun Shell Module allows the user to securely carry 12-gauge or 20-gauge shotgun shells in a rapidly deployable manner. 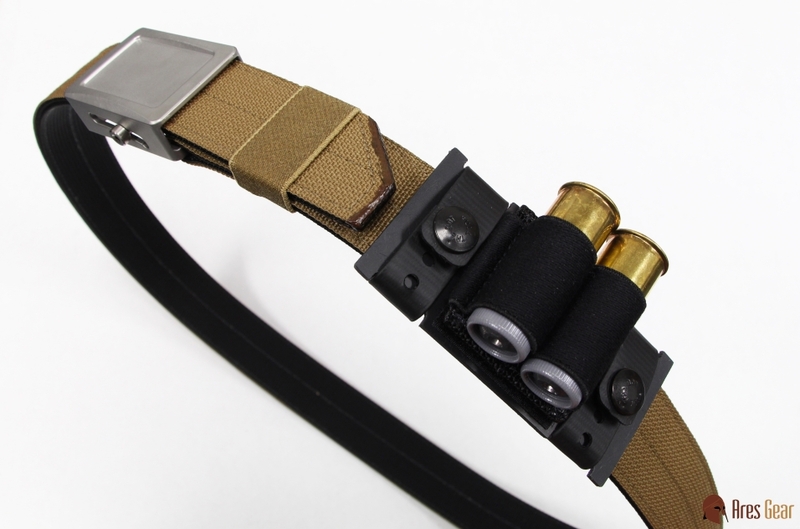 1 - Apply the loop side of hook-and-loop fastener to the receiver of a shotgun, and the Shotgun Shell Module can be used as a quick-attach, quick-detach sidesaddle shell carrier. 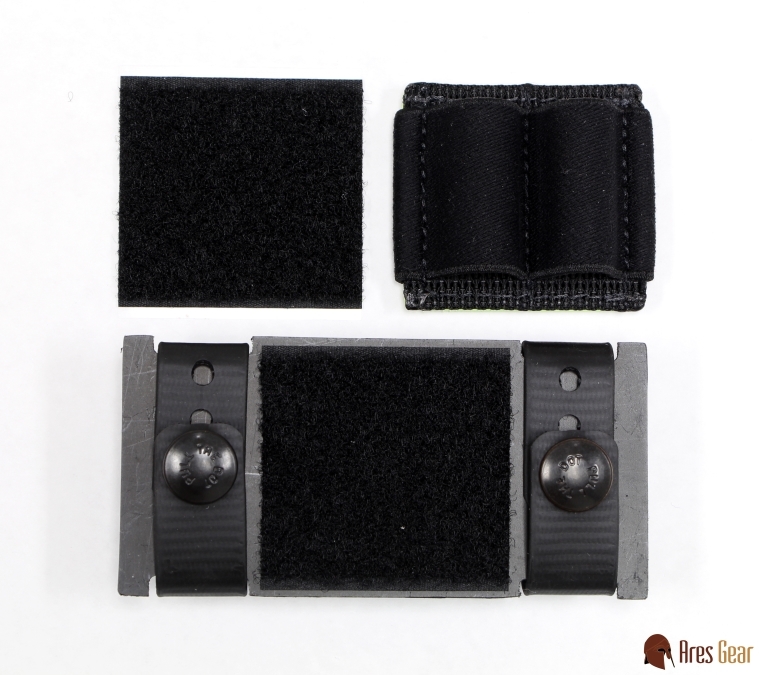 3 - Many uniform and tactical clothing items have loop fastener inside cargo pockets or on the upper arms, providing multiple attachment points on which to mount additional Shotgun Shell Modules. ammunition for the shotgun is always on your body. And of course, the RCS ModuLoaders and Ares Gear Shell Modules are proudly made in the U.S.A and carry an unconditional lifetime guarantee. 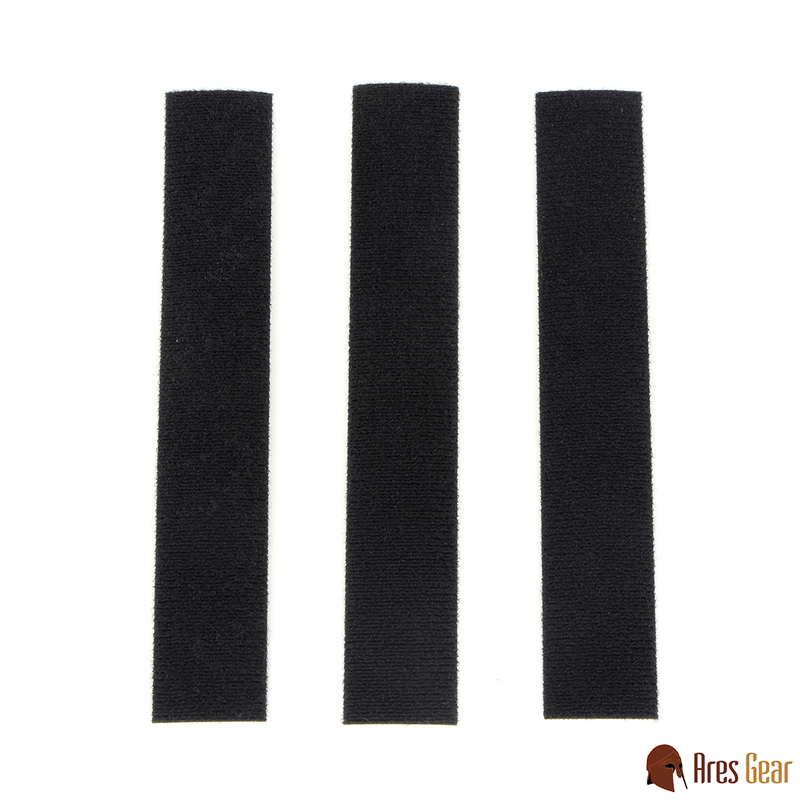 This Combo Unit consists of ONE 2-round Shotgun Shell Module, ONE RCS 2-round ModuLoader, and ONE strip of adhesive loop.